Imagine a world where everything you grew up with is gone.No TV, no internet, no shopping centers - and no adults. 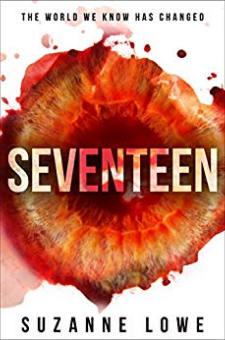 After a catastrophic virus kills everyone above the age of seventeen, life on Earth becomes a battle for survival.As the virus hits Australia, sisters Lexi and Hadley find themselves alone and vulnerable. Seeking sanctuary, the girls head to the small town of Jasper’s Bay in the Western Australian countryside.They soon learn that the quiet town is not as peaceful as it first seemed. Thrown into a bitter conflict that leads to betrayal and murder, they need to learn how to live in a world without adults - and without rules.But who can they trust?2018 New Apple Literary Awards - YA Sci-Fi / Horror Solo Medalist WinnerPraise from readers:????? - "This novel surprised me with its unforeseen twists and a thrilling plot that keeps you on the edge of your seat. A definite must read that will keep you up all night."????? - "Fully fleshed out characters, realistic scenarios and exemplary writing garners this novel a five star review."????? - "A science fiction novel that will grab you by your imagination and heart."